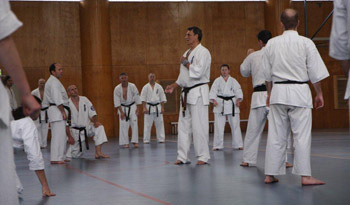 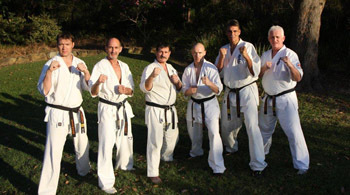 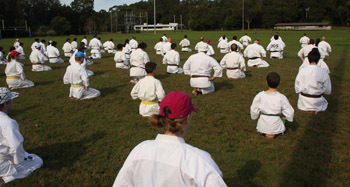 The 1st Friendship Gasshuku (Training camp) was held from May 18th thru 20th in Sydney, Australia at the Sydney Academy of Sport organized by Branch Chief Shihan Trevor Tockar. 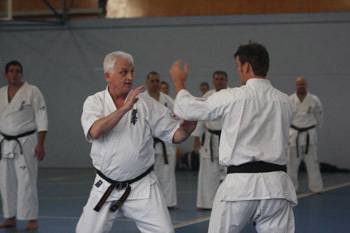 Over 100 members attended the gasshuku including a large number from New Zealand and many also attended the seminars the following week, held at the North Bondi Dojo and at Shihan Nik Cujic's Carringbah dojo. 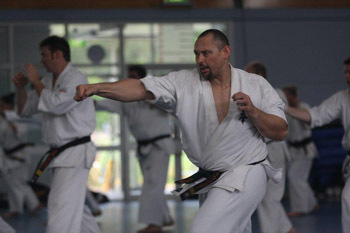 Over the 2 days Gasshuku, there was more than 16 hours of training, with instruction from Shihan Kenny Uytenbogaardt, Shihan Stuart Corrigal and Sensei Garry O'Neill. 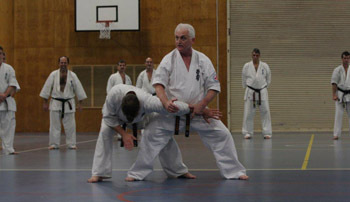 The seminars were also conducted by these three instructors and Shihan Trevor Tockar. 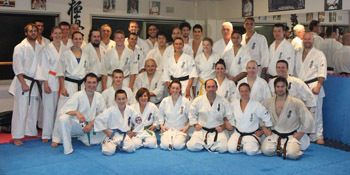 The event ended with a very enjoyable sayonara party.